Knights have always been intriguing historical figures, so they appear in almost every kind of fantasy world. 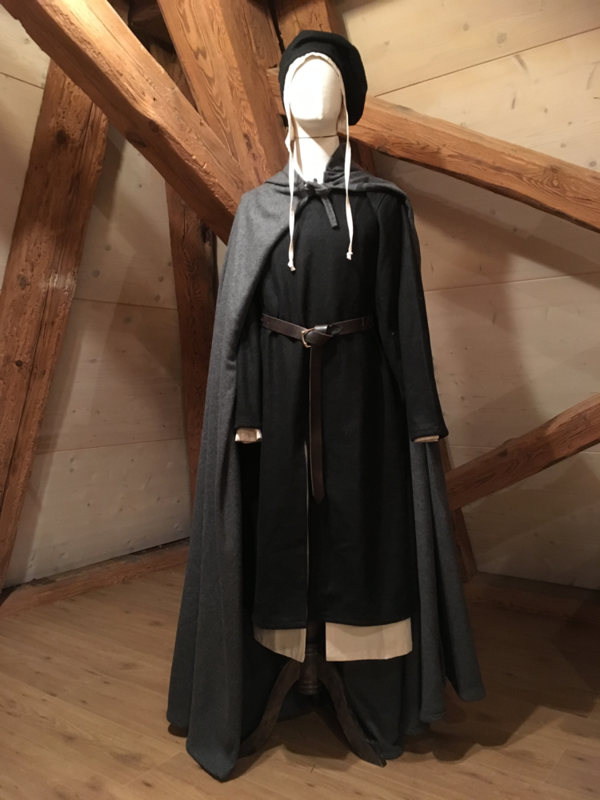 For this project, Marc Krause transformed a set of long tunics by Burgschneider into a compelling costume for a traveling knight. For traveling and adventures good equipment is key - especially when you plan to travel through snowy mountains and rain. 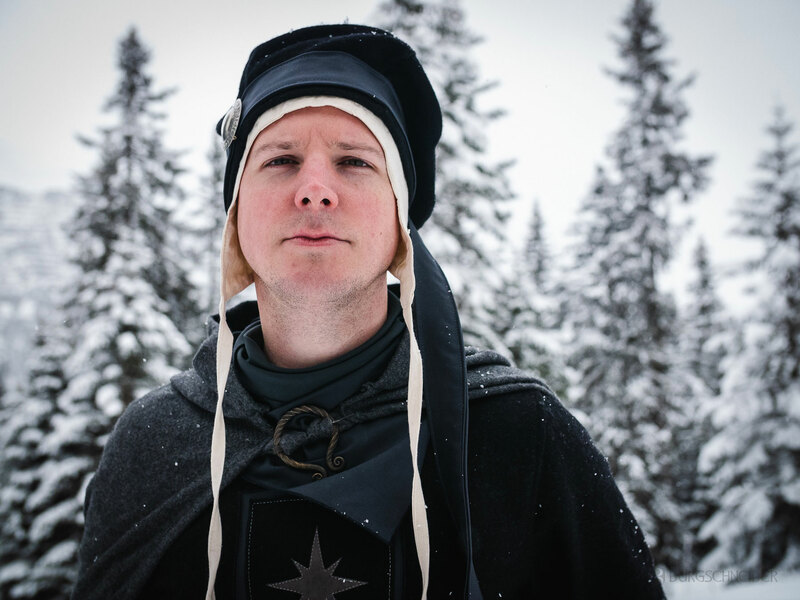 To be well prepared, the traveling knight got “Everard” (a thick woolen tunic) to keep the body warm, the woolen cloak with hood “Hibernus” to protect against rain, wind and snow and a woolen beret “Harald” with cotton cap “Bertram” to keep the head and ears warm. 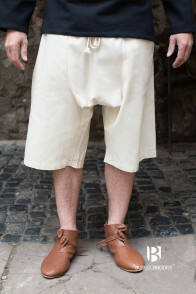 When walking in wet environment, cotton pants soak water while wool repels it. Therefore the knight got woolen chausses “Bernulf” instead of the cotton version “Brandolf”. The main goal is to add details that make the whole outfit more personal and unique. 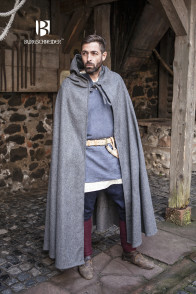 In medieval times all garments were handmade. Therefore it’s highly unlikely that two people wore exactly the same clothing. 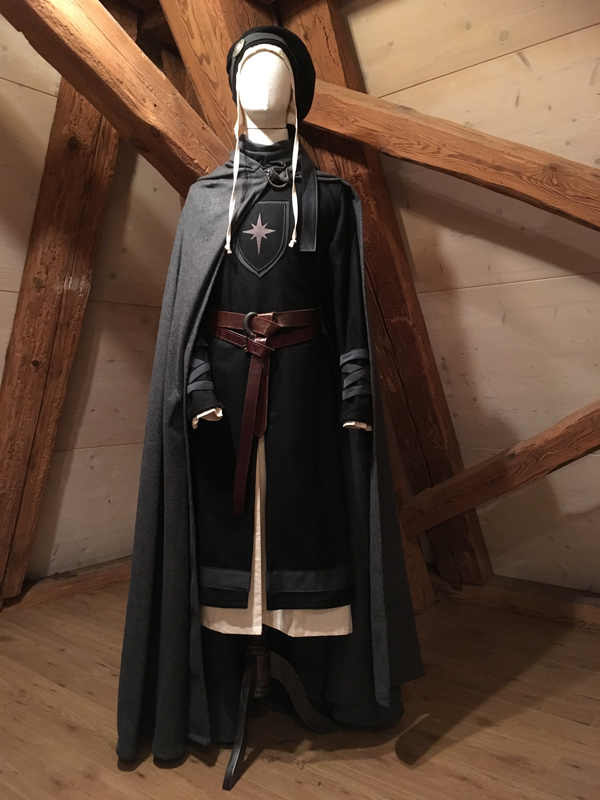 Although this knight’s costume is not historically accurate, the same principle applies to create the illusion of a believable person's everyday clothing. 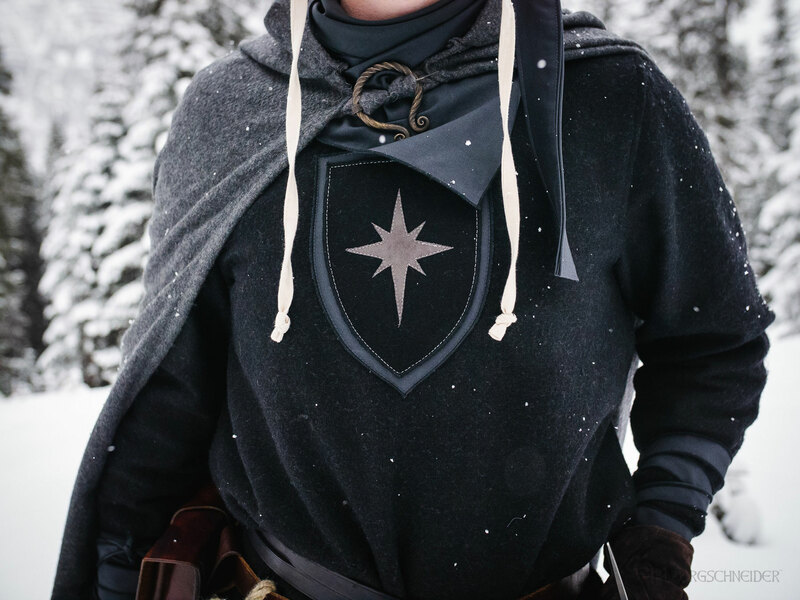 Especially bigger areas like long tunics or cloaks often look flat or boring without decoration or accessories. Little accents in connecting colors can easily make single pieces look like a finely-tuned nobleman’s wardrobe. 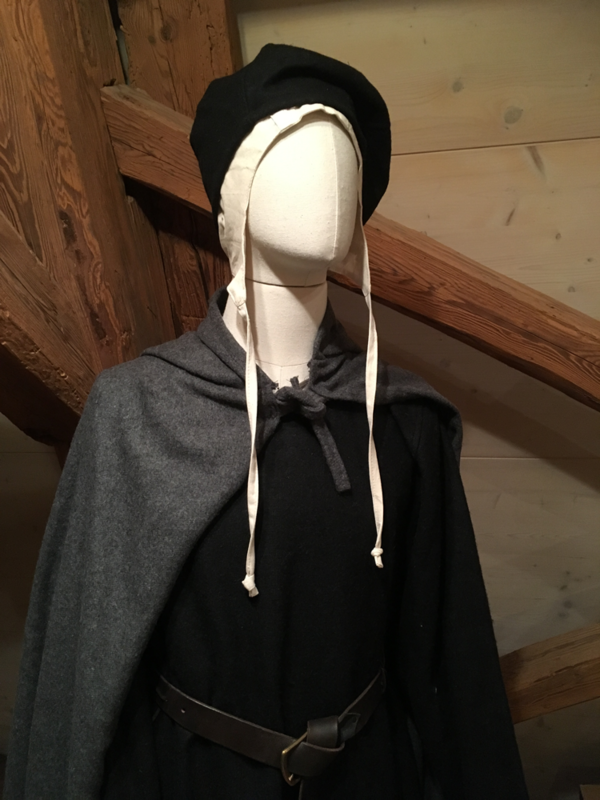 That’s why the black tunic and beret will both get accents made from fabric remnants in a smoky blue - as a connecting color between black and grey and to compliment the silver jewelry. A smoky blue will accentuate the black and gray. 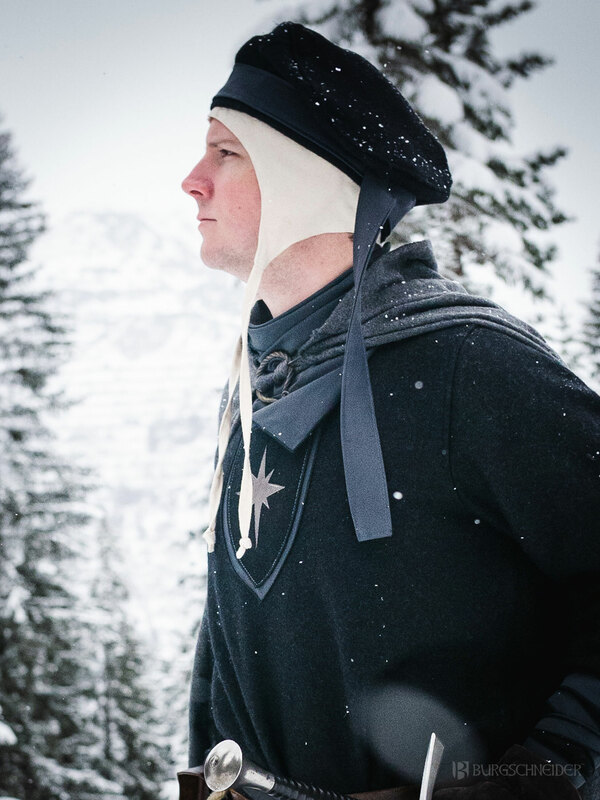 A true knight requires a coat of arms—in this case a star. Additional details: accessories such as belts and jewelry will round out the outfit. 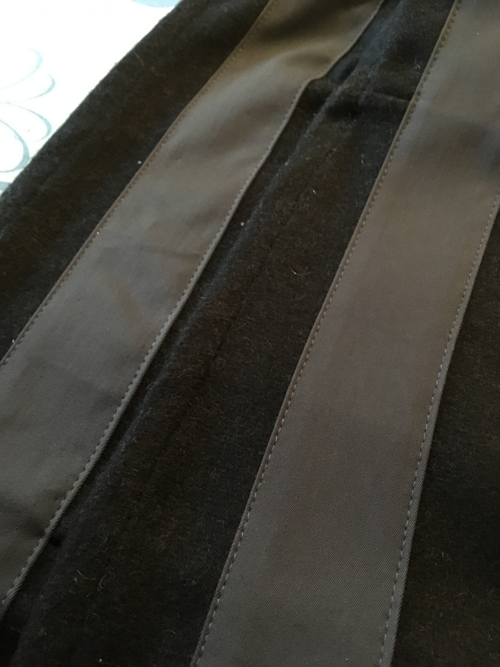 Excess fabric is cut into strips. These strips are then sewed onto the tunic’s lower seam and around the beret, which is given a nice touch by a brooch from the flea-market. Additional strips of fabric are used as wraps around the arms. 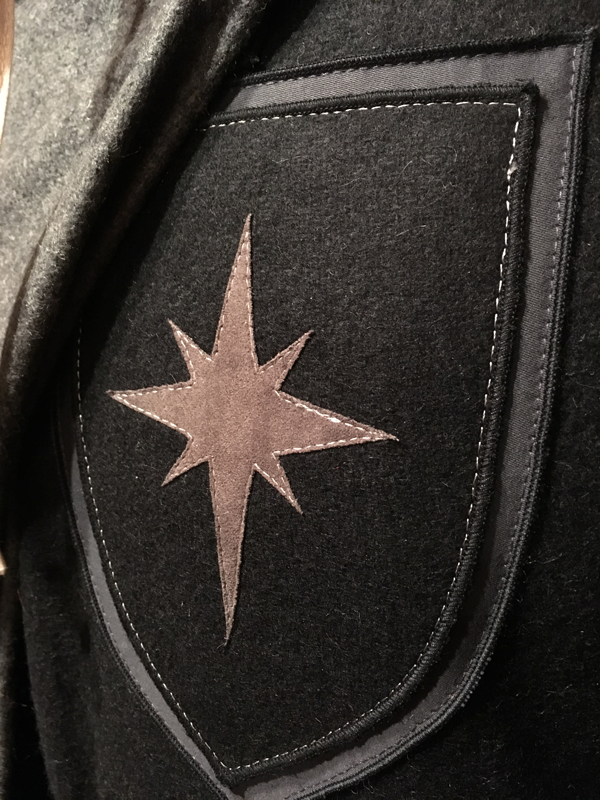 The coat of arms, which is first sketched onto paper before being cut from fabric and suede, will then be attached. 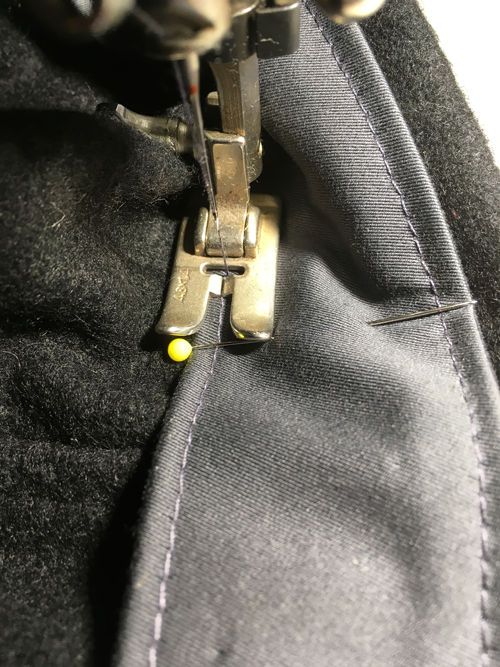 For the beret, the piece of fabric is doubled up. 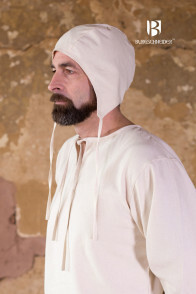 That way, it can hang freely, just as it does on a chaperon hat. 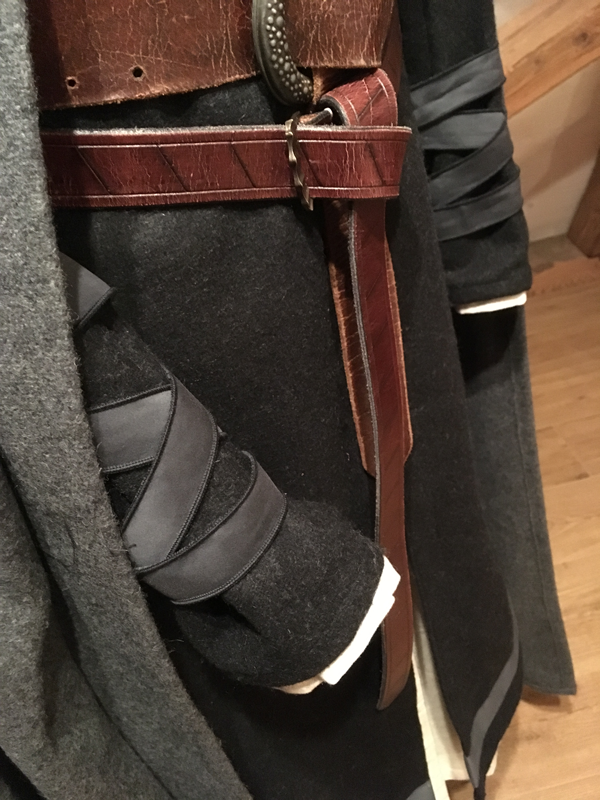 The straps on the cloak are replaced with a metal clasp. 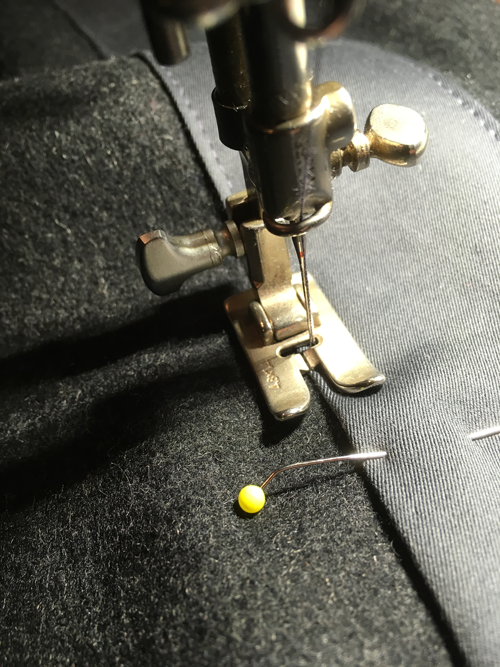 In order to create a neat appearance, everything is ironed. 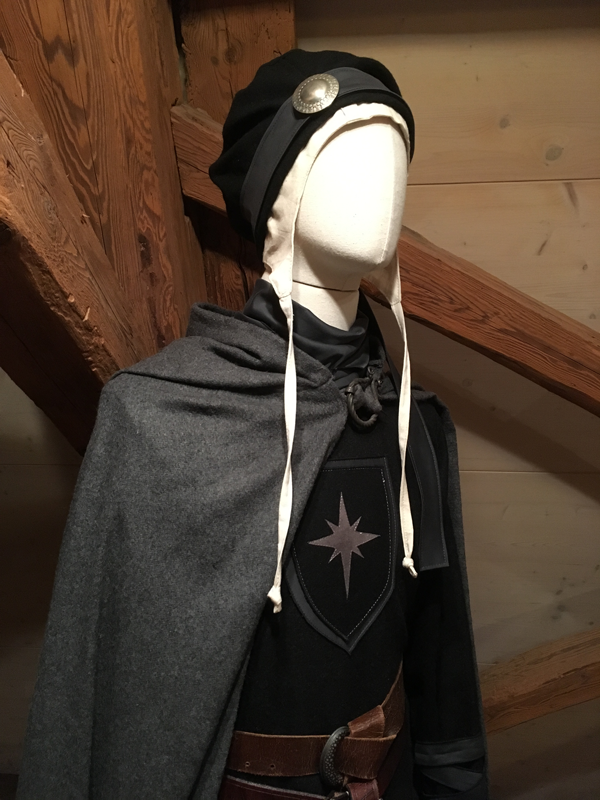 After all proposed changes were made, the neck area felt a bit naked between the tunic and the cloak. So the rest of the smoky-blue fabric remnant was cut to a triangle to form a scarf. A very simple solution against cold wind. 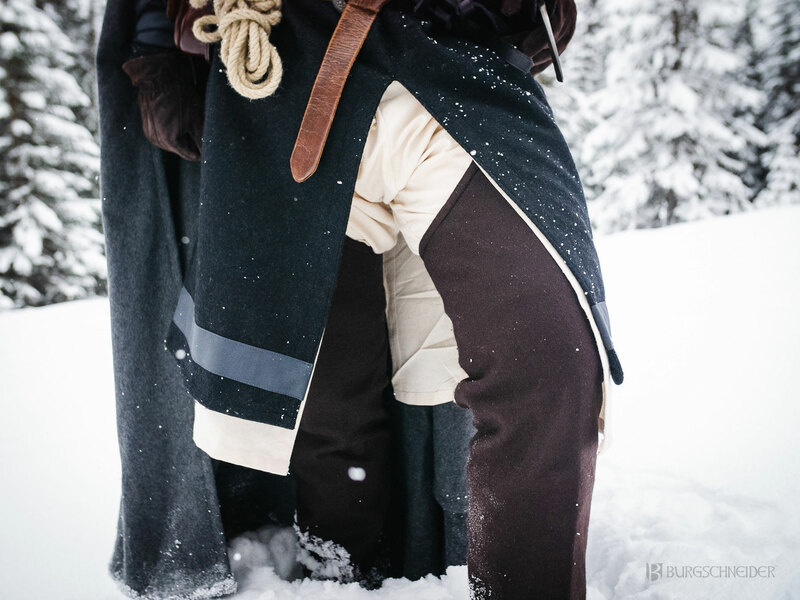 The whole process took about half a day, while most of the time actually was test-pinning fabric stripes to find out the width of the stripes and where to put them, or how big the coat of arms had to be to fit the body proportions. Having friends who helped out sewing, took photos and evaluated ideas was a great help - and definitely more fun than crafting alone! 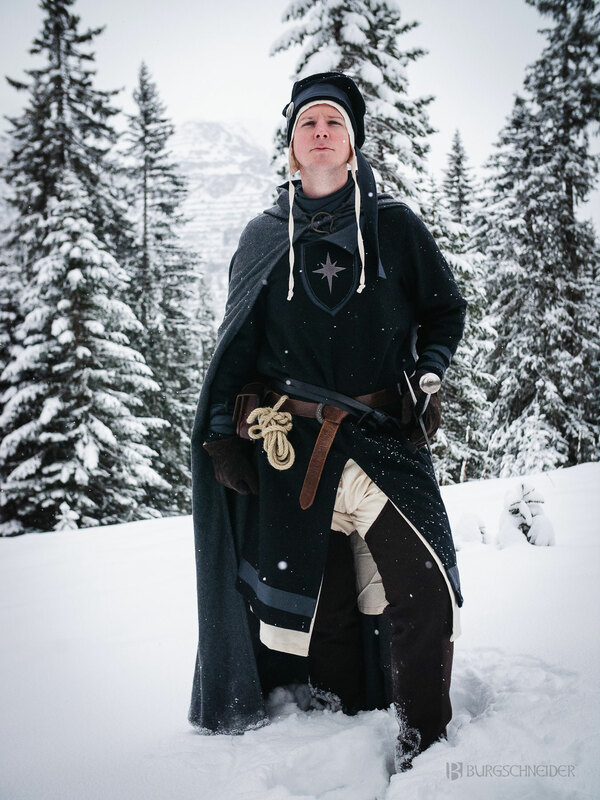 The result was worth it and will be my winter LARP kit from now on. 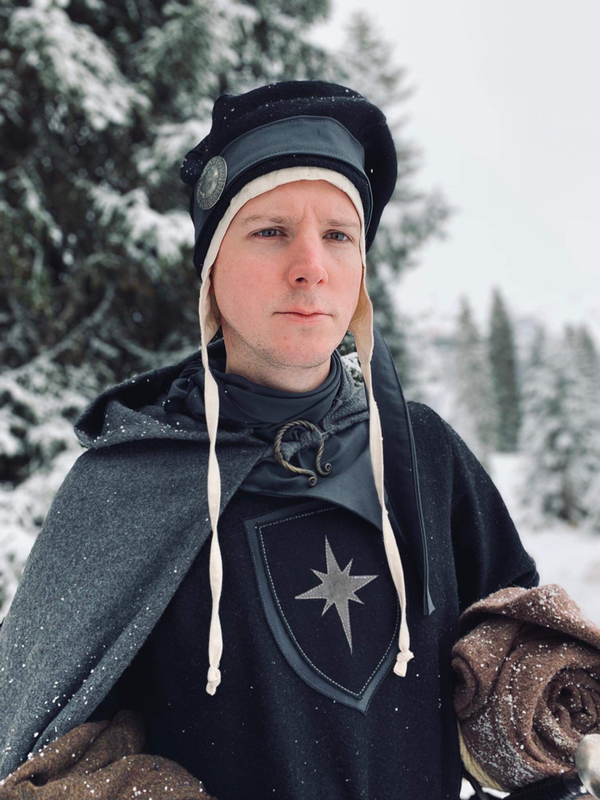 Next project might be sommer gear for the battlefield, but for now the traveling Knight is armed for marching through the Alpine snow!